Nice one, even though i see some flickering polys there. Wow, this only came 7th? And yeah so there are flickering pollys. But it's still software renderer in 4k + textures + great camera. Low quality FX, flickering, but really cool idea, in an Hplus sort of way. And it came 7th?! It's a nice idea and all (and being a coder, I liked that the source code was spread), but it's a bit too long and static for my taste. 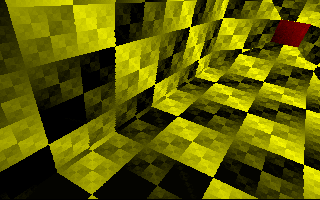 And XOR textures are just bad, especially with that sort of colors. Thumbs up for a nice idea. Too long and camera movements are also VERY boring, but overall nice. very very very nice! i wonder why it has not more thumbs. great prod. Very impressive, despite the colors. page created in 0.016641 seconds with 15 queries.